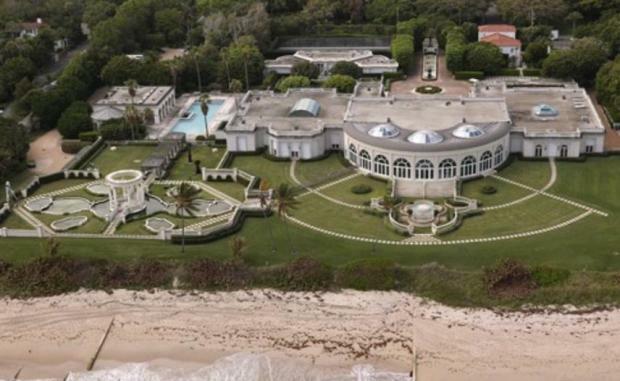 Maison de L’Amitie, the US$95 million Palm Beach mansion formerly owned by Donald Trump, will be completely demolished by the Russian fertiliser billionaire who bought it. Trump acquired the mansion at 515 North County Road in 2004 at a foreclosure auction for US$41.4 million, then spent US$25 million renovating it. He then onsold it in 2008 to Russian billionaire Dmitry Rybolovlev for $95 million, the biggest home sale in Palm Beach history. According to the Palm Beach Daily News, the land could be subdivided for redevelopment of as many as three houses. The main house spans about 62,000 square feet. The six-acre lot has 475 feet of frontage along the ocean. It features a French provincial-style main residence with ballroom and 48-car garage, a two-story Mediterranean-style carriage house; a huge pool house and a tennis house.